Every year, hundreds of thousands of Networking Academy students worldwide gain the skills needed to build, design, and maintain computer networks; improving their career prospects while filling the global demand for networking professionals. 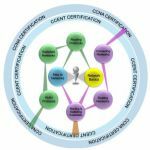 With 9,000 academies in 170 countries, Networking Academy helps individuals prepare for industry-recognized certifications and entry-level information and communication technology (ICT) careers in virtually every type of industry. Students develop foundational skills in ICT while acquiring vital 21st-century career skills in problem solving, collaboration, and critical thinking. The rapid growth of networks has created a global shortage of people who are qualified to implement and maintain networking solutions, especially in places where networks are being built to promote economic development. At the same time, people need access to better training and career opportunities to successfully compete in the global economy. Networking Academy helps address the growing demand for ICT professionals while improving career prospects in communities around the world. Our educational center offers the opportunity to gain employment in companies dealing with network technologies with high standard salaries. 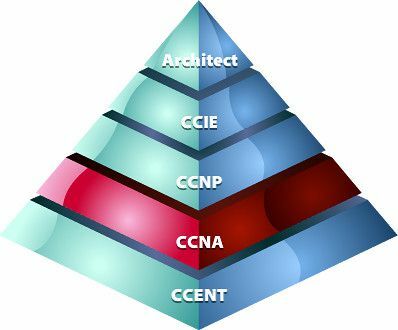 For application in the IT companies , it is required to complete CCNA training in the newest version of curriculum 6.0, divided into four stages. After successful completion of CCNA course you will get internationally recognized CISCO certificate, which is One of basic conditions for admission to employment.